Some education on Boflot, Bofrot, Too gb33, b3ff. “As named, ‘bofrot’ is really a corruption of the word Deep Fried Bun Loaves. Over the years and the lovely Fante brofolizations, it has been described as Puff Loaves/ Buff bofrotLoaves/Puff Floats/Bun Floats/Boflot. Bofrot’s actual hometown is in Holland. The Dutch colonists taught the Fantes of the coast. They [Dutch] call it OLIEBOLLEN. Yes, bofrot ni brofodzin! 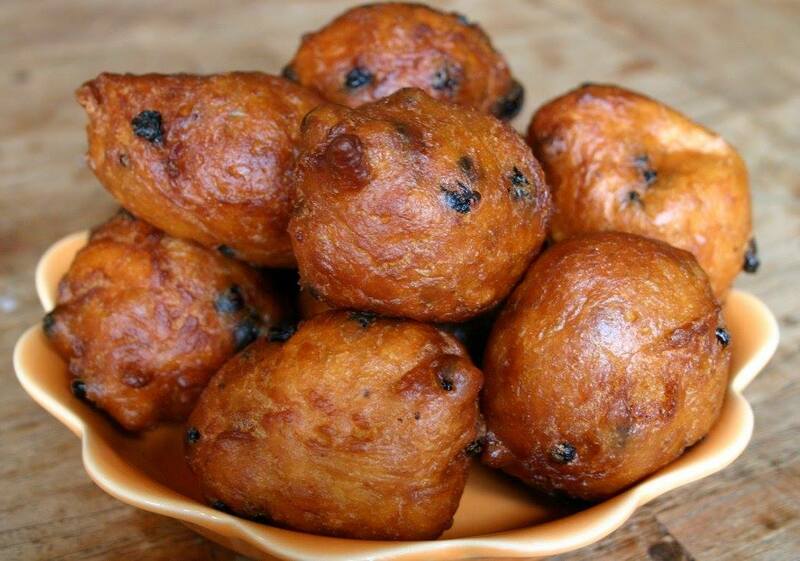 An oliebol (Dutch pronunciation: [ˈoːlibɔɫ], plural oliebollen About this sound pronunciation (help·info)) is a traditional Dutch and Belgian food. They are called oliebollen (literally: oil balls) in the Netherlands, while in Belgium they are called smoutenbollen (literally: lard balls although the real “smout” is of rapeseed oil) in Dutch and croustillons (loosely: crispies) in French. In English they are more commonly known as Dutch Doughnuts or Dutchies. In the distant region of Istria, now split into the countries of Italy, Croatia and Slovenia, a variation of this dish is called fritole, fritule and blinci. Oliebollen are a variety of dumpling made by using an ice-scooper or two spoons to scoop a certain amount of dough and dropping the dough into a deep fryer filled with hot oil. In this way, a sphere-shaped oliebol emerges. Oliebollen are traditionally eaten on New Year’s Eve and at funfairs. In wintertime, they are also sold in the street at mobile stalls. Haha!! A rose by any other name still smells sweet. The Portuguese bofrot is the dipped in sugar version. They were the first European colonists to arrive in what is now Ghana. The Dutch came later. Either way, both had a strong presence in Elmina.